It’s not a random phrase used casually by National Information Solutions Cooperative (NISC) employees. The Power of Possibility is what has shaped NISC and led them to where they are today: Celebrating NISC’s 50th anniversary. MIC is a technological learning event, designed to help cooperatives leverage the power of solutions and services that make their organizations run efficiently. The conference welcomes NISC members, along with subject matter experts, to lead the informational sessions, sharing their skill and insight with cooperative employees. Since 2016, Survey & Ballot Systems (SBS) and NISC have had a partnership allowing cooperative members to vote in their annual election using NISC’s SmartHub® online application. You can read more about our partnership here. One key component of MIC was the member-led sessions, which highlight tips and tricks that NISC members have learned through their platform. This year we had the pleasure of hosting our own session “Get out the VOTE: How cooperatives can double voter participation!” led by Marketing Manager, Tony Hoff. 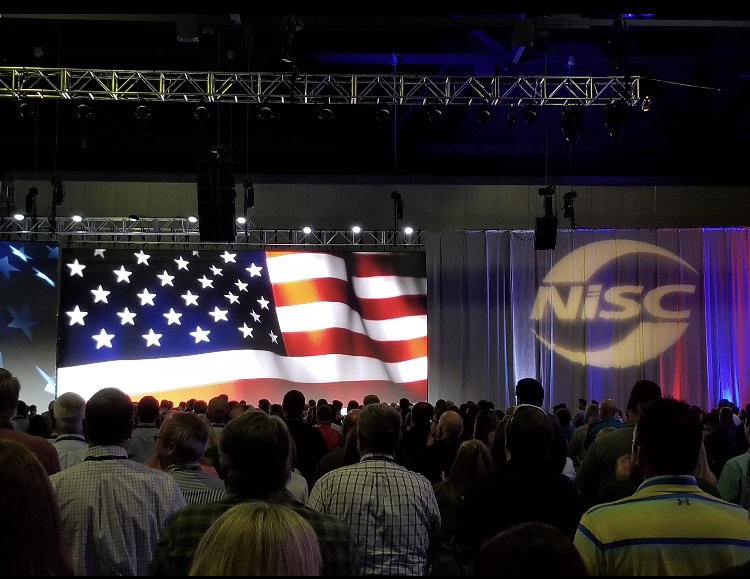 Kicking off the MIC 2018 was NISC’s President and CEO Vern Dosch, where he shared his thoughts and insight on 50 years of innovation and Member service, taking us back to where it all began and forged on with what his expectations are for NISC in the future. We also heard from Kirk Johnson, Senior Vice President of Government Relations for NRECA and Shirley Bloomfield, Chief Executive Officer of NTCA–The Rural Broadband Association. You can learn more about their presentation here. Next Next post: Single Sign-On (SSO) for Your Association – What Does it Mean?